Father’s Day is coming up fast. We usually celebrate with a barbeque and a relaxing day with the family. My dad is notoriously hard to shop for, so it takes months of planning to come up with the perfect gift for him. 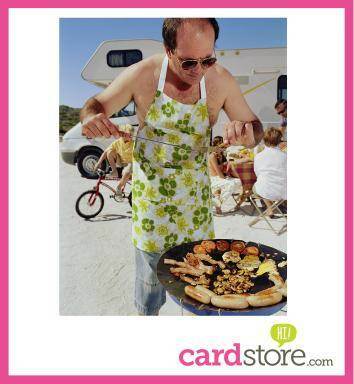 But I have to say, the perfect card for my dad is easy – he LOVES the photo cards I have made for him. And since I discovered them a few years ago, the only place I trust to make the perfect photo cards for me is Cardstore.com. I’ve already ordered my cards for Father’s Day, they’re ready to be delivered to my husband and father on behalf of my boys. I know they’ll both love the pictures of the boys I had printed on their cards. I know my father especially will love the pictures of “his boys” as he calls them – he’s so proud of my two little guys. I love that my boys have that special bond with my father and I hope one day they’ll be able to go to NY Mets and Rangers games with him like I did as a child – I have so many great memories of those days! 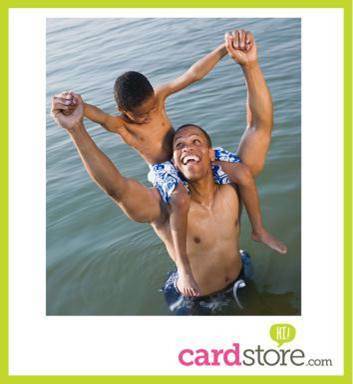 To create your cards for Father’s Day, check out the Cardstore site (you have until June 7th to guarantee delivery in time for dad’s special day!). You can also find Cardstore on Facebook, Twitter, Google+, and of course Pinterest! Love this! I always have a hard time finding cards I really like. Looks like this will be the place I will order my father day card. Awe what a great business and great gift for all the great dads out there!! I love cards from card store I always get them there. What nice cards! I like that they are personalized! I love photo cards. They add personality and customization. My daughter typically makes them for my husband nd I from photos throughout the years. It’s fun to look back at the older photos and reminisce. Personalized cards are so much more special. I might just check these out. I think that personalized photo cards make great cards for fathers. They add a unique quality to a card that makes it feel so special. Cardstore does a great job.